Also, Kate, was the name Dawn Mist a tribute to BlogClan’s Dawnmist? 1) Where did Slash, Swallow, Splinter, Beetle and Bee go after PoS? 2) Did Ember leave for good? 3) Will Gray Wing’s kits play a major role in MFV along with Spotted Fur? 4) Will Violet Dawn and Thunder have kits sometime? And will Clear Sky and Star Flower have more kits? 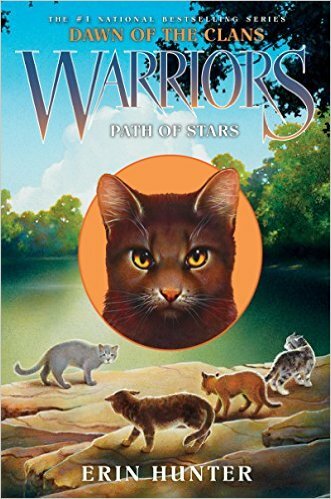 This was the best DOTC book, yet!!!!! This was a work of art, truly Kate and I’m pleased to see what will become of MFV! Thanks in advance! I picked up the book last night and it’s amazing. I was fangirling for the book since I finished AFD (which was the day it came out XD) and I read it, and now I’m saying: Kate, you are an evil genius when it comes to writing. Gray Wing and Slate are bound to think of colours in names because of their own names! I hope that Barnes and Noble calls me today so that I can get it. I got so emotional by the end of the book. I cried for the first time in months! I had a feeling about what would happen but it didn’t make it any easier when it happened.